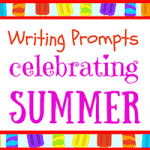 May Day is a traditional holiday that celebrates the arrival of spring with festivals, gifts, and celebration, and this holiday is a wonderful theme for some fun writing ideas and journal topics for kids. 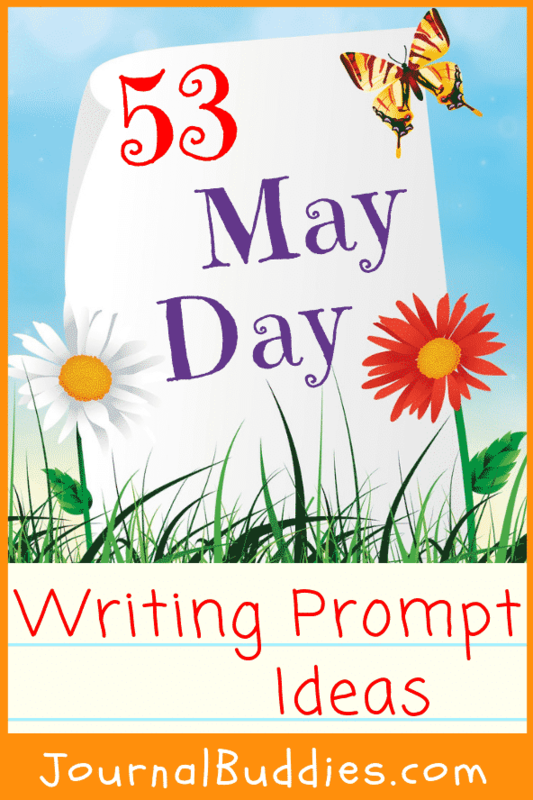 We say why bother with just one writing prompt when students can choose from 53 writing ideas about the May Day! 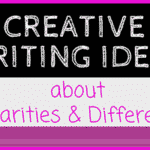 And just imagine… with these great writing ideas students are encouraged to think about the traditions of May baskets, May dances, and the Maypole. 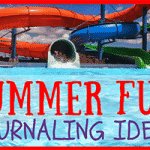 They’ll enjoy writing about the festivities of the holiday, while also thinking about new ideas for celebrations. It’s a fun opportunity for students to implement what they’ve learned about the holiday with their own experiences. What do we celebrate on May Day? Has anyone ever left you a May basket? How could we celebrate May Day at school? What does a May dance symbolize? Why is May Day important? What would it be like to experience a traditional May Day festival? What should a May dance look like? What do you know about May Day? If you could make your own holiday like May Day, what would it be? Why do we have May Day at the beginning of spring? Make up a May Day song someone could sing while delivering a basket. Describe your ideal May basket. Make a plan for a May Day celebration. What traditions would you include? Have you ever seen a Maypole? Where did May Day originate? What is the best part about a May Day festival? What kind of games can be played on May Day? If you got a May basket, would you follow the tradition and chase the person for a kiss? Write a story about the king and queen of May Day. Could you leave a May basket for a neighbor? When did you first learn about May Day? Why is May Day a special day? Should a May basket be personalized or traditional? What does a Maypole symbolize? What would you put in a May basket? Is May Day a fun holiday? Do you know of any May Day superstitions? If you received a May basket, who would it be from? Do you have a favorite May Day memory? If you made a Maypole, what would it look like? Have you ever left someone a May basket? What would you do if you were left in a May basket on someone’s door? Why do you think May Day isn’t celebrated as widely as some other holidays? Who should celebrate May Day? Is it important to keep traditions like May Day? Does your family have a May Day tradition? What is the best thing about May Day? Who would you like to leave a May basket for? Do you plan your May baskets ahead of time or put them together on the day? Will you celebrate May Day with your own kids? How would you explain May Day to someone who had never heard of it? How do you feel on May Day? What can we learn from May Day? What’s the most important part of a May basket? What do you think about May Day? How could a community celebrate May Day together? Have you ever participated in a May dance? Why do people love May Day so much? What is your favorite May Day tradition? 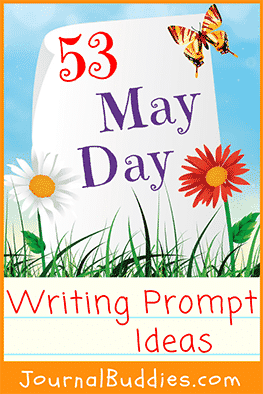 Write a story about the first May Day. How could our class decorate a Maypole? 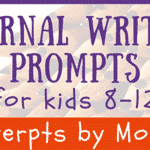 Writing prompt ideas and fun journal topics lead to inspired Journaling, which helps students learn the value of writing and improves their communication skills. They begin by thinking critically about the question and forming an argument or reasoning behind it. Next, they communicate their thoughts in written form, which improves their skills in both sentence and paragraph structures. Many of the skills students learn in journaling also translate to their verbal communication skills. Few activities integrate so many facets of communication into a single process. 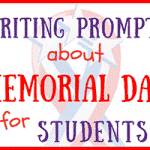 Get students started on their May Day traditions with these fun writing prompts about the first holiday of springtime. They’ll love thinking about the origins of the holiday and the various ways to create a celebration.